Last Wednesday marked BirdLife Europe’s ‘Biodiversity is our Business’ event held at the Museum for Natural Sciences in Brussels. One of the goals of the event was to highlight new collaborations between BirdLife Europe and its partners in the recreational, retail and manufacturing sectors. One such partnership, the ‘Committed to Birds’ programme between Birdlife Netherlands and the Dutch Golf Federation, has interesting potential for sustainability. 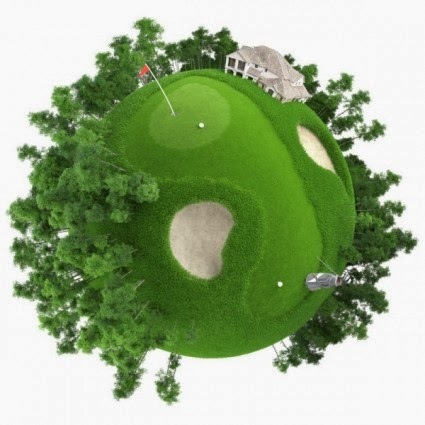 Golf and sustainability may seem like unlikely bedfellows. With nearly 7,000 golf courses in Europe (covering approximately 4,760km²), golf is an undeniably popular sport and with a value of €2.2 billion in 2006, golf tourism is an important economic driver in Europe. The tourism industry in Europe is now more than ever a key sector of the European economy and the golf industry is responsible for directly providing approximately 400,000 jobs in Europe, translating to around €9.4 billion in wages. Reduced biodiversity: Golf courses use an array of synthetic fertilisers, herbicides, insecticides and fungicides to keep greens and fairways perfectly manicured. This has adverse impacts on ecology and biodiversity, as birds and animals exposed to chemicals can suffer lethal poisoning through inhalation, consumption or absorption of pesticides. Degraded water quality: Pesticides are as much of an issue in water as they are on land. Pesticides can leach into the soil and contaminate groundwater and surface water, disrupting aquatic organisms, fish, waterfowl and affecting drinking water supplies. Water stress: Keeping turf in perfect shape requires a great deal of water and irrigation is an overarching sustainability challenge for the golf industry. In Europe, estimates suggest that golf-related water extraction can exceed 10,000 m3/ha annually. In water stressed areas such as Spain, Portugal and Malta, this can lead to water scarcity and the problem can become particularly acute when competing land uses are taken into consideration. Despite its negative impacts, golf provides the opportunity for a great number of individuals to experience and appreciate nature and wildlife. Undeniably, golfers and birders have much in common. As a result, while a partnership between BirdLife and the Dutch Golf Federation may seem incongruous on the surface, it is also unconventionally harmonious. The ‘Committed to Birds’ programme that was launched at the end of September aims to raise awareness of sustainable bird habitat development on golf courses, increase understanding about the environmental impact of golf and bring about the opportunity for proper management for nature. The fact that stakeholders in the golf industry are becoming more receptive to environmental imperatives is an excellent step towards achieving a sustainable economy. There’s still a lot of work to be done and the concept of ‘sustainable golf’ is something of an oxymoron. But with common interests at heart and a goal to introduce and promote environmental stewardship, the Dutch Golf Federation’s collaboration with BirdLife marks an important step towards both the industry’s environmental sustainability as well as Europe’s economic health.